I guess, ever since I entered my graduate studies, I was involved in some sort of writing: assignments, seminars – later came academic papers, books and presentations. But all that writing was somehow constrained – I had to obey certain rules, to follow procedures and satisfy requirements I was asked to. As all that can be fun and is a learning path – it lacked freedom. For me, becoming a writer I always wanted to be, means writing what I want, when I want, under my own terms – to share my experiences and have opportunity to contribute to larger community. And blogging is a fabulous way of doing that. Business in Rhyme really allowed me to explore topics I previously didn’t have time for or I didn’t know how to communicate. Finally I think I’m on the right track of becoming a writer I always strove to be deep in side with needed courage and strength to endure. In the last seven yeas a lot of things changed in my life. 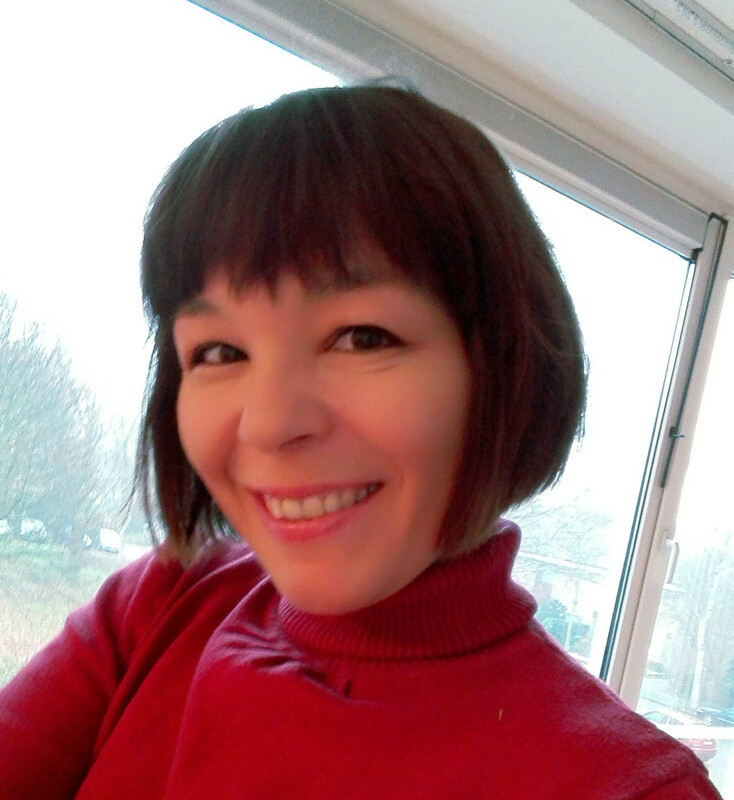 Previously, in my home country I worked as University professor, and a business consultant, which led to being ‘stretched’ between my work with students, writing textbooks and doing research for projects. Coming to the Netherlands brought a lot of challenges, meaning I didn’t know what I really wanted: to teach, to do research or something else. In the meantime I kept my ongoing projects at the University. Along the way with my move and adjustments in the new country, first health issues appeared in the form of thyroid dysfunction and peripheral neuropathy as a side effect. I knew something has to change: to take life much easily, pay more attention to myself and what I really needed. What is it that I actually need? In that process I started to remove anything that didn’t serve me anymore: clutter, habits, ‘stale’ relationships… I started to meditate, devote most of time to myself and nurturing my peace. I realized I didn’t want to live a hectic academic life I so ‘adored’ and was proud of. But there is so much more to life than being busy – like learning about your real needs, writing and reading poetry that earlier I didn’t have time for. And all those realizations culminated in this blog. Here I’m finally a writer always wanted to be: with no degrees, grades, awards – it’s just me, pure me translated in words. The process of simplification I embarked on meant also evaluation of what I was putting in my system and how that has contributed to my conditions. I now eat so simply that my friends usually laugh at me 🙂 But it means I’m pain free, medication free, and it takes less time to prepare my meals. Eating more fruits and leafy greens (in their raw state) brings clarity and patience you need in order for your creativity to flourish. Improving your digestion, sleep, energy levels – all that is vital to exploit your real creative potential. I was always a morning person. I use that time to start my day with setting right attentions, with loose schedule so I can achieve desired outcome without stress. Doing some short exercises, meditation or yoga helps me refocus my thoughts and concentrate on the tasks ahead of me. This is a habit I wish so many people acquire. Benefits of reading poetry are numerous, but fulfillment it brings to my inner self is immeasurable. Having that another lens to look at world is enjoyment and amazement I now need every day. I am quite individualistic when it comes to work and I’ve always enjoyed hours in solitude to sort my thoughts and figure things out. The same applies to my writing. Spending time ‘alone with myself’ enables me to have that internal conversation and dive deep in search for both answers and questions I explore further on paper. Whenever I’m confused or I don’t know how to articulate what I want to say, changing my environment helps a lot – being that going for a walk, short travels or vacations. All that contributes to inflow of fresh ideas, creative opportunities and stirs your imagination. Changing environment brings inevitably change of our perspective on things. Sometimes that is all you need to start/continue writing. 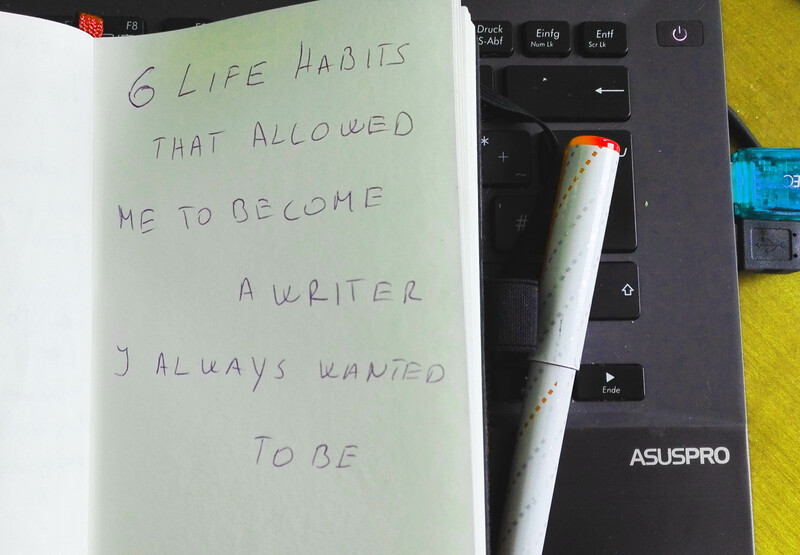 So this is my list of habits that helped me improve and devote more time to writing. I wholeheartedly encourage you to assess your needs and habits – look for space where you can devote more of your energy to writing and become a writer you always dreamed of. If you liked this post, please share! For getting more inspiration for your creativity, sign up for our free monthly newsletter. Next postPoetic inspiration: What poets do? I really need to hear this today. Thanks for sharing your wisdom! Thank you for this post, very inciteful. Very inciteful, thank you for this post. A helpful post. I am sure these habits can work for many ! A nice post Maja. Some useful things to reflect on. I like the point about clean living and the holistic approach to writing. I love this! Writing every single day is also very important for me. I did accrue to me until that I was self suffering due to self poisoning, until through process of elimination I narrowed the poison down to one tablet dropped into a morning coffee one artificial sweetener tablet so tiny, that within less than 20 minutes my body and head were thrown into pain, and by within three hours my body was mimicking the same full body debilitating pain as full on mutable scoreless. -This was also derived by my family General Practitioner’ who also stated he was sure I was suffering from Multiple sclerosis, and about to have be tested for M.S. until I told him of what I concluded was the reason for my suffering. -But after laying on my back in full body devastating agony’ I would fall to sleep from exhaustion and come morning’ I would open my eyes and be fine’ pain free’ and rise up’ drive to town, and I dropped one sweet and low tablet again into a small coffee, drink very little of it’ and again the condition of full body agonizing pain repeated as the day before. It was conformation a test painfully proven. We as consumers are left to believe toxic poisons are both delicious and better as a sugar replacement. -The Sweet in low was a basic recipe’ the main ingredient is Aspartame. Aspartame is in now over 50 thousand consumer food products to include a few brands of Sugar Free Yogurt. When I once had a conversation with an older lady whom was suffering server headaches’ I told her it was the ‘Diet’ Pepsi (five cans a day) the aspartame was causing her the pain. She attacks me for attacking her poison of choice. For me the affects were almost instant upon ingesting, and very devastating’ I test many foods’ and sweet to include sugar free gums’ causing serious headaches and body pain after ingesting. -There has been a serious debate and studies upon Aspartame being a poison to the human body. The effected populace knows it is’ the Food Additive industries fight it in Courts with a lot of Money and lobbying back it. I avoid Aspartame like I avoid the Plague. I am so very fortunate in that I was wise enough to test though process of elimination of things I ingested. As Me and You Maja’, we are so very fortunate to have listened to our bodies, and make sudden health positive choices. Thank you for this Post Maja. Life well’ live as you were born to be. I also wanna be a writer..and I am also academically going in business field…. Maja, this is the best I have read in a while, pure & simple. Sort of something, can’t find the word to describe the parallel of our lives. For in a different setup, the six changes I have gone through, are almost exactly the six habits you have changed; only it took since 2007 to the moment for me to account for such changes. Also, the change came supernaturally. Never in a million years would I have orchestrated such a change. People asks, “Why are you not enjoying your old age surrounded by your dotting children, grandchildren and loving friends in the great USA?” I answer because, “I am nuts!” And really, my life of nowadays makes no worldly sense. Even so? I would not change it for all the gold of this world! Thanks for your faithful visits.